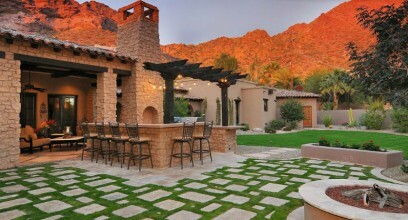 Your patio’s surface is one of the first things your guests will notice when they step into your backyard. Make a great first impression and lay down a surface that will last! 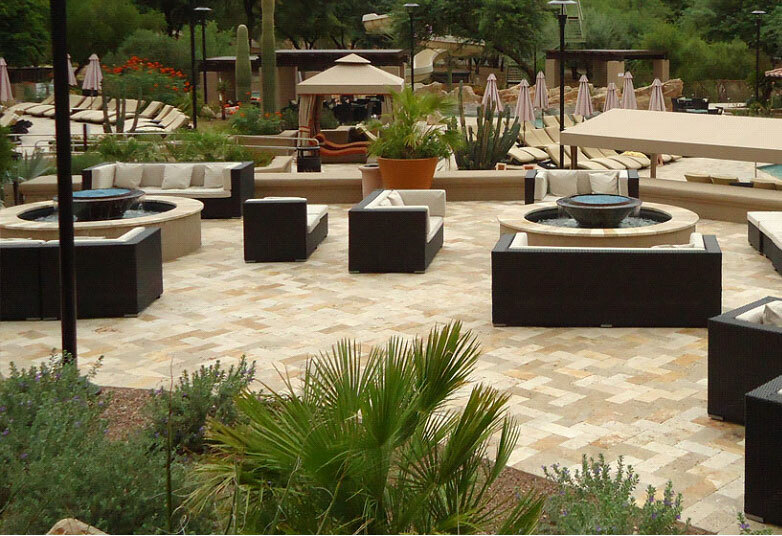 Travertine pavers are a beautiful natural stone product that will surely increase the beauty and value of your space. Use on your patio deck, to accent a fire pit, pizza oven or BBQ cooking area. 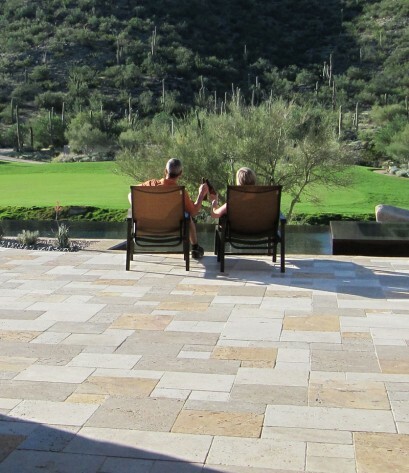 Travertine is a long-lasting stone that will not shift, settle or crack, when properly installed. Seal and protect with a professional grade sealant to make your custom patio or pool deck last a lifetime. We recommend installation by a professional as this is no easy DIY project. Professional installers know that no two patios are the same and can customize the installation based on the individual project. 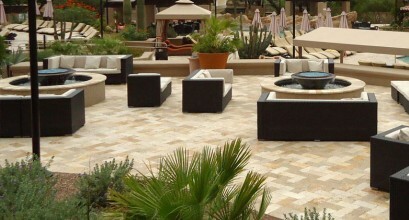 RWC is proud to carry beautiful travertine pavers in various colors. Be sure to come visit one of our stone showrooms to touch, feel, and compare colors in person.